Belgium face Japan tonight in the World Cup 2018 last-16 tie for a place in the quarter-finals. Roberto Martinez’s men have been in brilliant form and won all three of their group encounters. 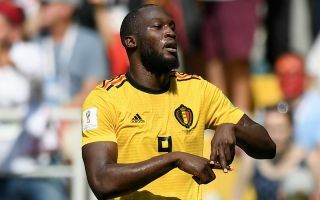 The Red Devils’ manager rested a number of key men during their win over England – and you would expect for him to recall his stars such as Romelu Lukaku, Kevin De Bruyne, and Eden Hazard for this tie. Adnan Januzaj scored a brilliant goal against England to ensure Belgium finished top of the Group G.
Meanwhile, Japan progressed into the last-16 in historic circumstances. They qualified because of their superious fair play record over 3rd place Senegal, after both had identical goal differences and goals scored. Belgium will be favourites as they beat Japan in a friendly match in November 2017. Romelu Lukaku scored the winning goal and will be keen to catch Harry Kane in the race for the Golden Boot. When is Belgium vs Japan and what time is kick-off? The game will be held on Monday, July 2 at the Rostov Arena. What channel is Belgium vs Japan on today? This match will be shown live on BBC ONE and ONE HD, where coverage begins at 6.30pm. You can stream on BBC iPlayer. Goalkeepers: Eiji Kawashima (Metz), Masaaki Higashiguchi (Gamba Osaka), Kosuke Nakamura (Kashiwa). Defenders: Yuto Nagatomo (Galatasaray), Tomoaki Makino (Urawa), Wataru Endo (Urawa), Maya Yoshida (Southampton), Hiroki Sakai (Marseille), Gotoku Sakai (Hamburg), Gen Shoji, Naomichi Ueda (Kashima). Midfielders: Makoto Hasebe (Eintracht Frankfurt), Keisuke Honda (Pachuca), Takashi Inui (Eibar), Shinji Kagawa (Borussia Dortmund), Hotaru Yamaguchi (Cerezo Osaka), Genki Haraguchi, (Fortuna Dusseldorf), Takashi Usami (Fortuna Dusseldorf), Gaku Shibasaki (Getafe), Ryota Oshima (Kawasaki).